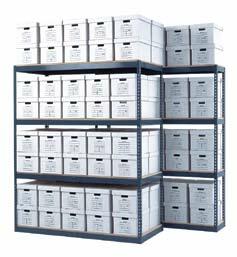 "Available on the State of Utah Contract MA1231"
Archive Shelving is designed for the storage of records. More specifically, it is designed to store and condense the number of letter/legal archive boxes as well as letter transfer files. Units are made to meet most types of Archive box you have. 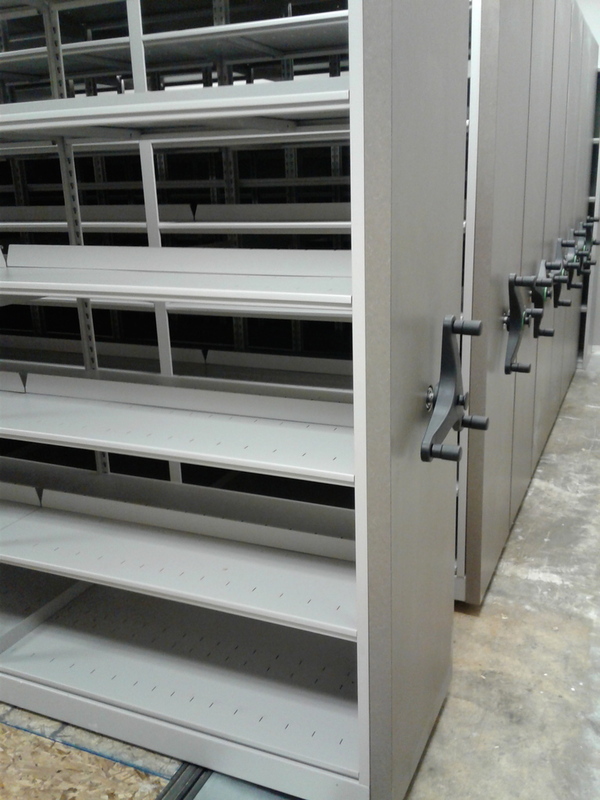 Archive Shelving banker boxes can be accessed from both sides of the unit and can be placed beside each other to maximize unit space. Archive Movable Shelving uses modern technology to maximize storage space. 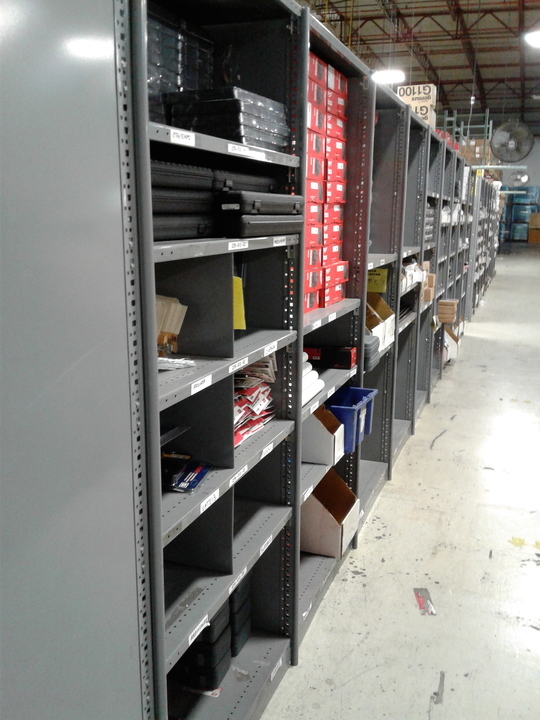 Archive Movable Shelving only takes half the space that stationary shelving uses, because aisles are not needed. Archive Movable Shelving condenses storage, but can be moved accordingly when a stored item needs to be retrieved. This is possible because of the rail system that guides each unit. The Archive Movable Shelving comes in two different types: mechanical or motorized. Mechanical Archive Movable Shelving has a wheel-like handle, which rotates as a user manually moves each mobile unit by hand. There is also an older style of mobile shelving with a standard handle, which has to be pushed or pulled side to side. In comparison, motorized mobile shelving operates on an electric system. A button key pad is placed on the Archive Movable Shelving system, which allows a user to move each carriage into a desired position with ease. 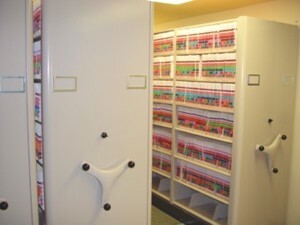 Archive Movable Shelving has been used by many varieties of businesses, such as public libraries, athletic departments, lawyer offices, computer technology firms, healthcare facilities, law enforcement agencies, and more. 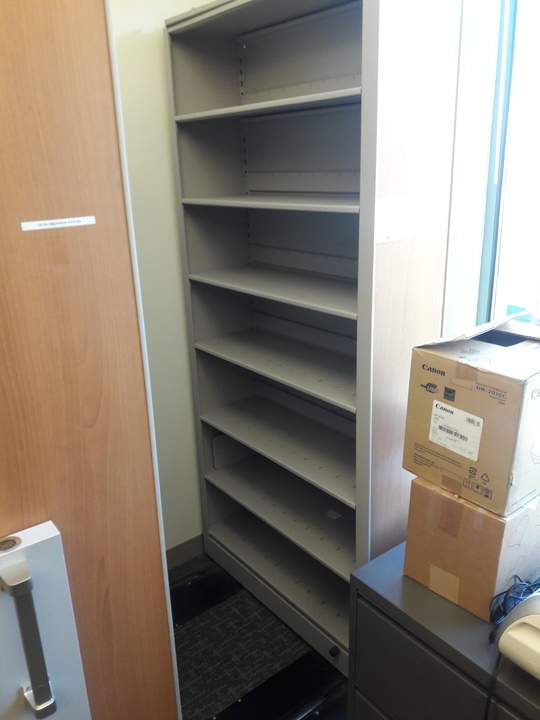 Not only can files and records be stored within mobile shelving systems, but inventory in different shapes and sizes also easily fit inside on shelf levels. This includes, but is not limited to: athletic gear and equipment, medical supplies, computer hardware, weapons, retail inventory, books, and more. 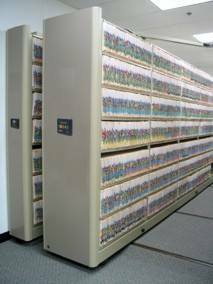 The Archive Shelving Records Units utilize heavy-duty boltless shelving which allows for easy access to Archive boxes from either side of the unit. Each unit is available with or without ½“ particle board decking, and has a powder coated gray finish. 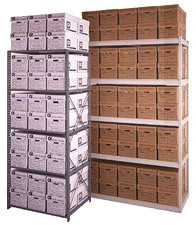 The FastRak Archive Shelving Record Units utilize heavy-duty boltless shelving which allows for easy access to file boxes from either side of the unit. Each unit is available with or without ½“ particle board decking, and has a powder coated gray finish.